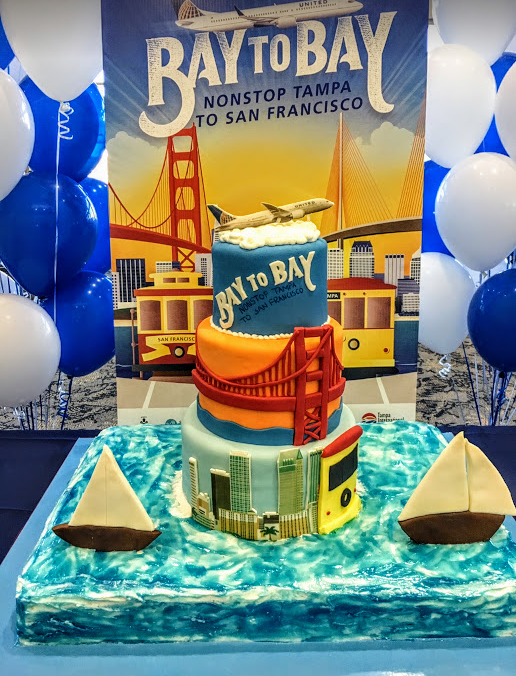 Last week new United nonstops took off between Tampa and San Francisco with cakes and parties on both ends of the inaugural flight. 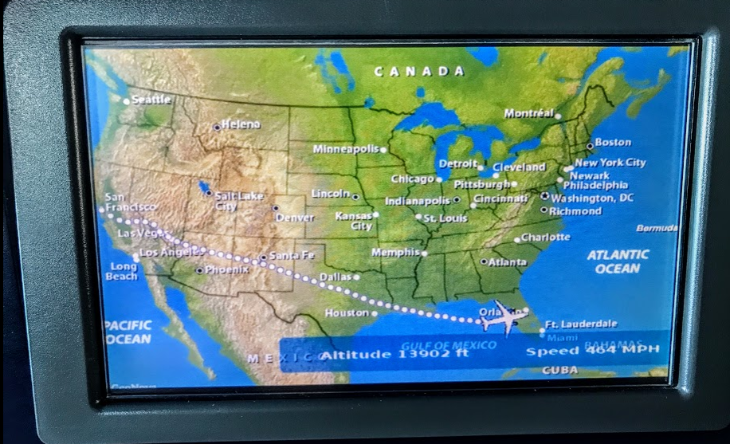 TravelSkills was invited along to witness the event on a quick 24 hour turnaround trip. 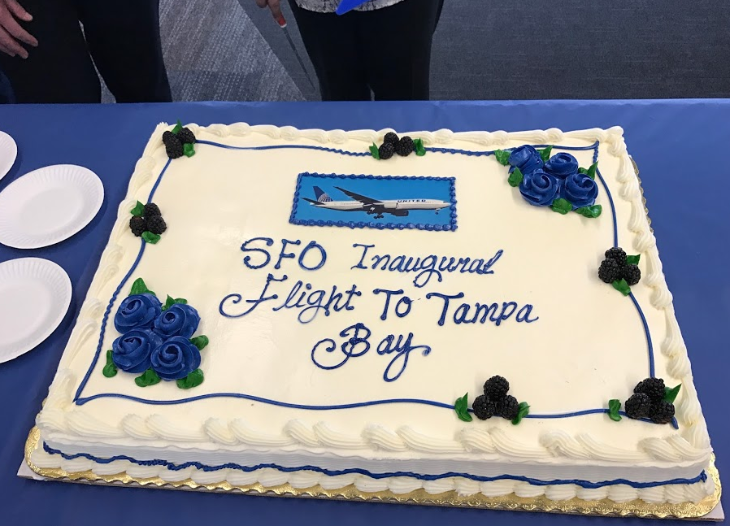 There’s definitely a market for a SFO-TPA nonstop— flights in both directions were completely sold out. 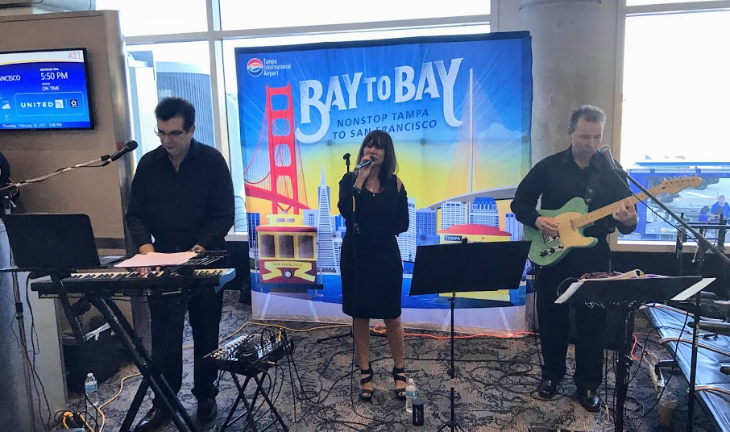 The Tampa to San Francisco route was the most underserved in the country, with nearly 600 passengers taking one-stop flights daily between the two regions, according to the Tampa Bay Business Journal. The city’s growing startup scene was seeking better access to Silicon Valley, where much of the venture capital industry is based. 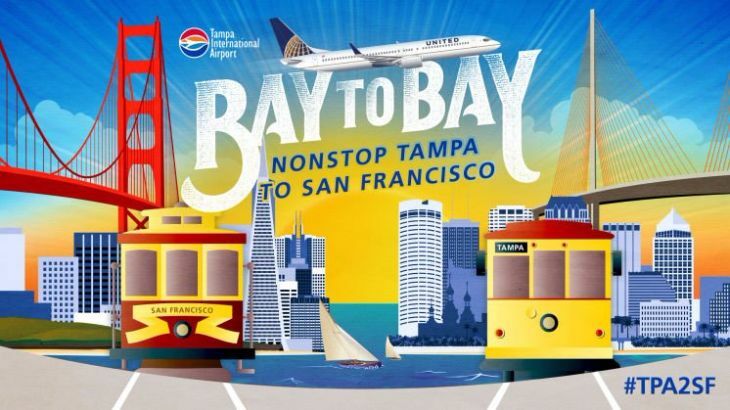 In Tampa, city officials even launched a social media campaign to convince an airline to offer nonstop “Bay to Bay” service. 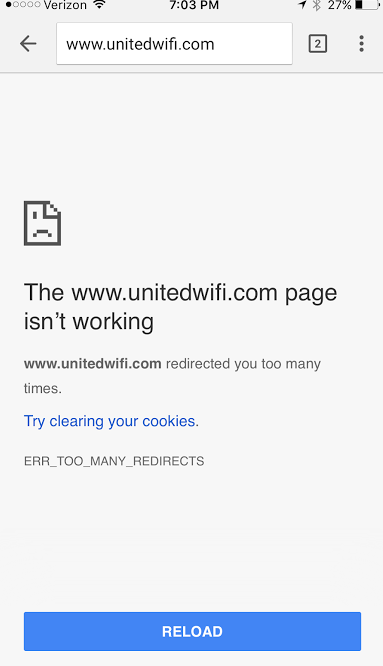 United is charging a premium for its nonstop— the cheapest roundtrip we could find for spring flights was $391. If you are willing to make a stop, you can fly bay-to-bay for as little as $292 on ultra low cost carrier Frontier (but be aware of fees) via Denver. Delta’s cheapest one-stop flights (via Atlanta) run about $328. 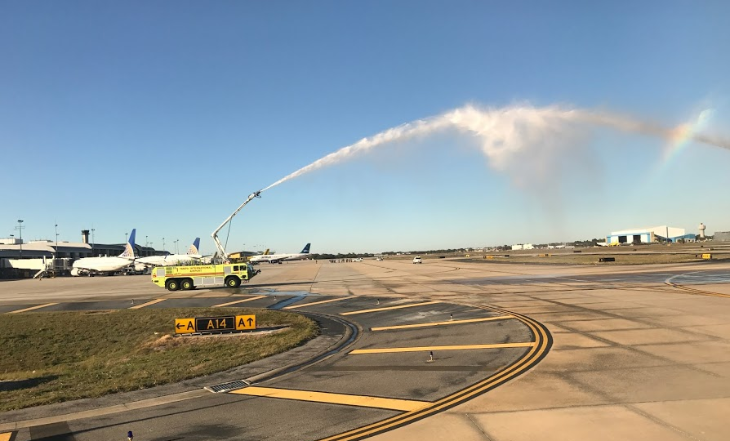 United is running both 737s and A320s on the daily nonstops. 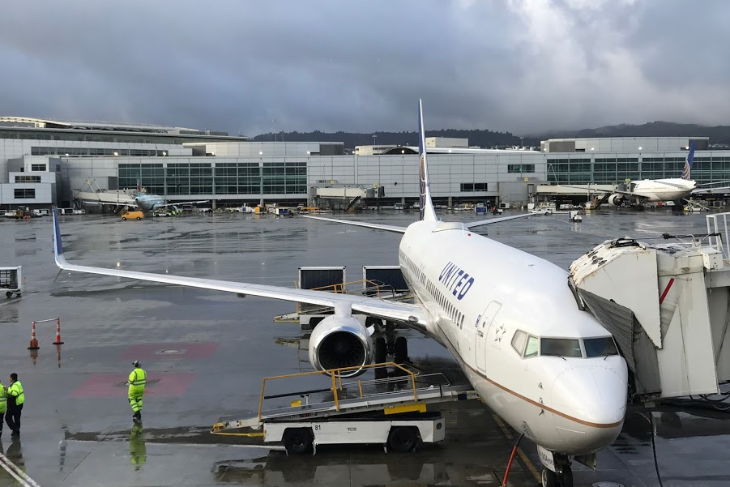 From SFO, the flight departs around 9 am and arrives around 5 pm. 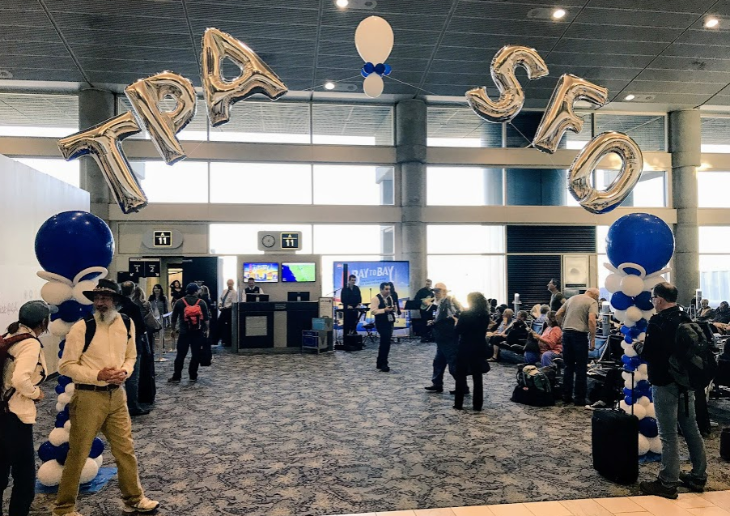 On TPA-SFO, the flight departs around 6 pm and arrives in SFO at around 8 pm– these are well-timed flights for business travelers. 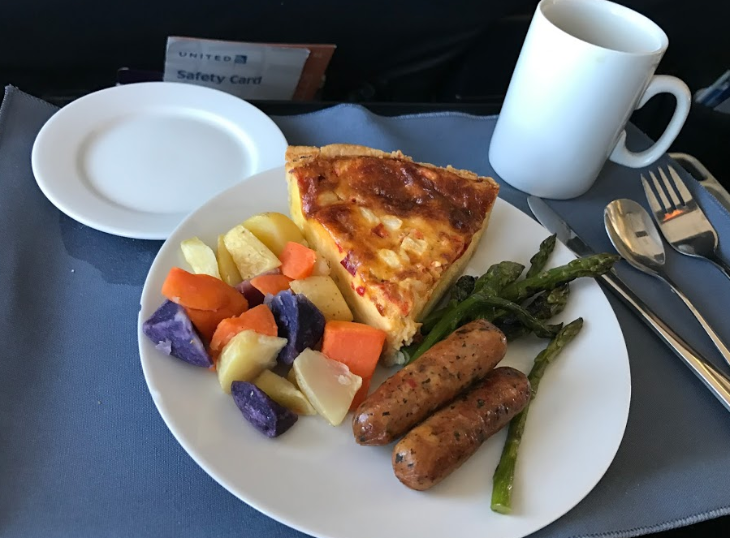 First class passengers get hot breakfast on the eastbound flight and dinner on the return. In economy class, there are hot and cold meals for sale. 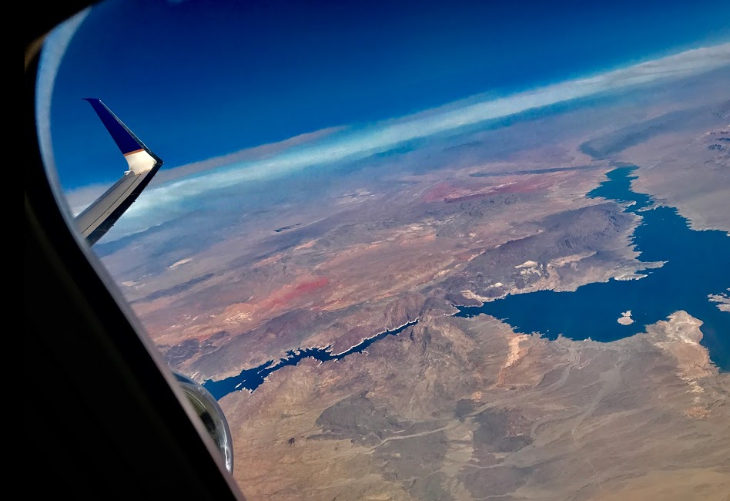 The flight takes a scenic route from SFO over Arizona (including the Grand Canyon and Lake Powell), New Mexico, over the top of Dallas, out over the Gulf at New Orleans and arrives from the west at TPA. Ask for a window seat! 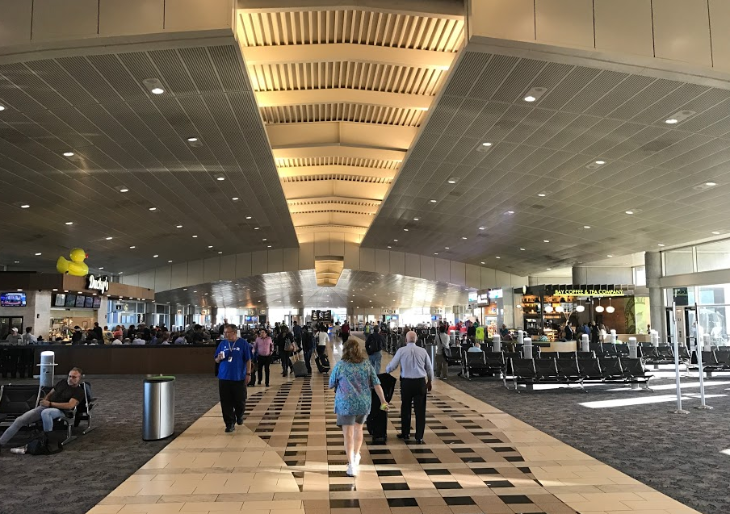 While Tampa Airport is one of the most popular award-winning airports in the country, it’s in the midst of a massive renovation. There are construction detours, temporary walls and other obstructions that make navigating tough. Not horrible, but something to be aware of. Have you ever taken an inaugural flight? Where and when? Please leave your comments below! 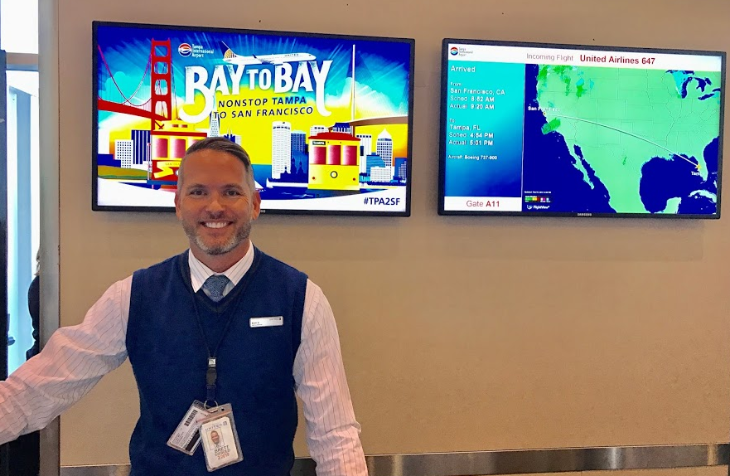 Disclosure: United paid for Chris’s first class flights between SFO and Tampa. Chris paid for everything else during this 24-hour trip.